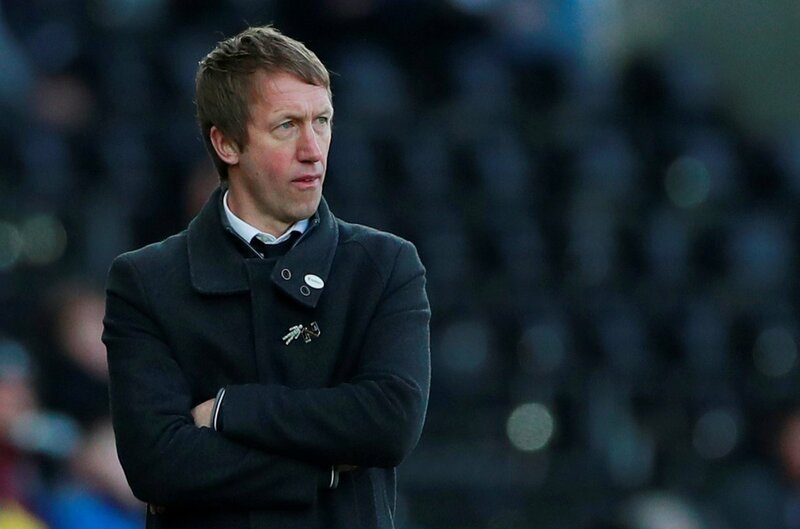 Swansea boss Graham Potter thinks that it will take Stoke City manager Nathan Jones two transfer windows to make his mark on his new side. Former Stoke player Potter, who took over at Swansea in the summer after the two sides were relegated from the Premier League, welcomes his old club to the Liberty Stadium on Tuesday night, where his side will look to make it three wins in a row. Reflecting on Stoke’s first season back in the Championship, Potter told the Stoke Sentinel: “At the start of the season, Stoke were nearly everyone’s clear favourites for promotion because they kept a lot of their (Premier League) team and added players as well. Since Joe Allen’s strike gave Stoke a 1-0 win over the Swans in September, Stoke have gone through a change of manager, with Nathan Jones taking over from Gary Rowett at the bet365 in January, and Potter believe the Welshman will need time to establish Stoke as promotion contenders, claiming: “I’m sure Nathan will have time to put his own mark on the team, but he probably needs a window or two to be able to really see what he’s got to do. Following an underwhelming first season back in the second tier, there is no question that Jones needs some fresh recruits in the summer. There is however plenty of promise being shown at Stoke, who are now unbeaten in nine games, although having scored just five times in that run, it seems pretty clear where the Potters need to strengthen.